11/20/1979 – 08/22/2009 OEF	Company C, 2nd Battalion, 7th Special Forces Group (Airborne). Staff Sgt. 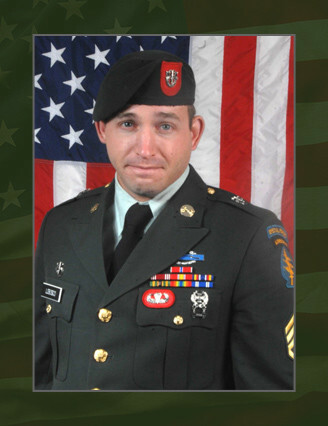 Andrew T. Lobosco, 29, was killed Aug. 22, 2009, while conducting a dismounted patrol in the vicinity of Yakhchal, Afghanistan, in support of combat operations while serving with Company C, 2nd Battalion, 7th Special Forces Group (Airborne). He deployed in support of Operation Enduring Freedom in July 2009 as a member of the Combined Joint Special Operations Task Force – Afghanistan. This was his second deployment in support of the Global War on Terror. He was a Special Forces medical sergeant. Lobosco a native of Somerville, N.J., enlisted into the U.S. Army January 2004 as a Special Forces candidate. He completed the Special Forces Qualification Course January 2007 and earned the coveted “Green Beret.” Lobosco’s military education includes the Warrior Leader’s Course, Basic NCO Course, Survival, Evasion, Resistance and Escape Course, Basic Airborne Course, and Special Forces Qualification Course. His awards and decorations include the Bronze Star Medal, Purple Heart Medal, Army Good Conduct Medal, National Defense Service Medal, Global War on Terrorism Service Medal, NCO Professional Development Ribbon, Army Service Ribbon, NATO Medal, Combat Infantryman Badge, Parachutist Badge, and the Special Forces Tab. Lobosco is survived by his mother Bonnie Lobosco, father Robert Lobosco and sister, Lisa Lobosco of Bridgewater, N.J.